ScanCalc Custom is sold by locale. The simplest purchase is an exclusive license for your city. 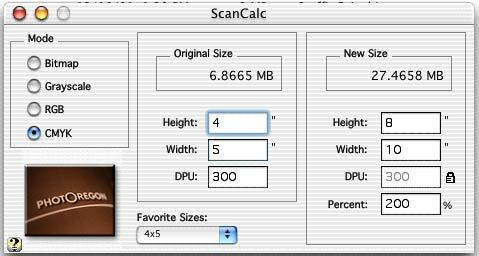 Your customers will find ScanCalc incredibly useful, especially if you charge for scans by the megabyte. Why not take advantage of their interest? 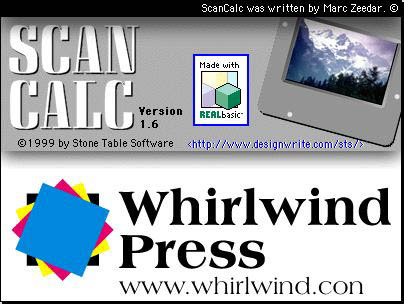 Imagine a version of ScanCalc with your company's logo -- customers would see it every time they used the program! 400x140 pixel graphic in the ScanCalc "About Box"
Contact Marc at for more information. Hurry before your competition beats you to it!